Ojai, CA sits at an elevation of 745 feet above sea level. Seated in the Ojai Valley, the town is an easy hour and a half drive from Los Angeles; the majority of which is spent on the 101 freeway. Heading north, it is only the last fifteen miles or so, when you veer off onto HWY 33, that it’s clear you’re a long way from the never-ending suburban sprawl that is southern California. Suddenly it’s rural—the McDonalds and Starbucks replaced with produce stands, old barns and mom & pop small businesses. Teetering the line between bohemian village and vacation resort enclave, it is here, in this town of roughly 8,000 residents, that Lissie calls home. Originally from the Midwest, it is here that Lissie found sanctuary following a brief stint living in L.A.
It’s Lissie’s vocals that first grab your attention. She’s blessed with one of those voices that seems as if it should belong to someone twice here age. Her voice is both rough and pretty; a combination which, when it works, is something to behold. Hers very much works. It’s her instrument, she commands it. 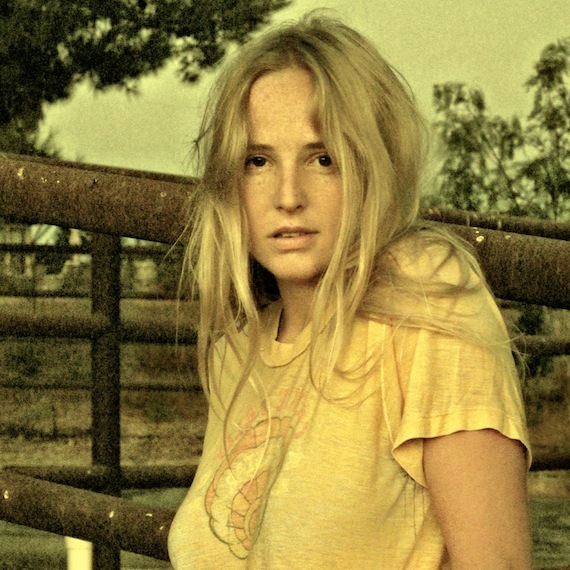 Lissie’s debut, the 5 song Why You Runnin’ EP, sounds like a road trip through the deep South. A road trip where you’re riding shotgun, not driving, with the windows rolled down. At your feet is a paper bag full of old cassettes; Bonnie Raitt’s Give It Up, Fleetwood Mac’s Rumours, Dylan’s Desire, Lucinda William’s Car Wheels. Traveling music. Lissie’s debut was made for such a road trip. It was made to be dubbed onto a cassette and tucked into that old paper bag along with the beer and cigarettes. So, really, it makes sense that Lissie left the congestion of the city for Ojai, a place where her music, with the windows rolled down, feels right at home. Surprised no comments here yet given the magnitude of the song posted. This is my first introduction–looks like she was getting pub back in November, but I never really noticed for whatever reason. Understanding that now, this was shamefully neglected (out of ignorance) from my ’09 year-end group, when I would’ve featured it prominently had I known. Anyway, related to the post specifically–a pretty near-perfect description. The voice twice her age struck me particularly, and I actually wondered aloud what she’s been through in her brief years to be able to sing like that. Maybe nothing extraordinary, which would make this all the more remarkable. She’s wicked talented, on record and in-person. She’s playing Muddy Waters in SB with Leslie and the Badgers on Valentine’s Day too. Killer lineup. She’s got a killer voice, that’s for sure. Her sound is something we’d find from artists of the 60s and 70s, and seemed so perfectly preserved–yet, she’s quite young. It’s that natural or raw quality that instantly reminds me of a female Dylan, but with more of a modern edge. Lissie’s work is definitely something that sticks in your mind, although I have a feeling she’d be even better live. Yours Truly captured Lissie @ The Fillmore in SF playing a BRAND NEW SONG from her forthcoming album. It’s never been heard before, until now, and it’s a doozy. i love the EP and the new song “in sleep” over at yours truly is amazing. can’t wait for a full length. Funny you mention Raitt’s ‘Give it Up’ b/c I was just saying the other day how Bonnie reminded me (in a weird way) of Lissie in that cover photo. Have had the privilege to speak w. Lissie and see her multiple times for Stark Mag in NY, and I have nothing but absolutely the greatest things to say about her. She’s a force and a true talent. Ojai has a McDonalds and a Starbucks. Very impressed by the EP. Nuanced stylistic range. Devon Sproule, Bobby Gentry, some soul. The second song on the EP sounds like Neko Case. Still, original. Strong songwriting.